Describe the DDoS vectors that can be run. 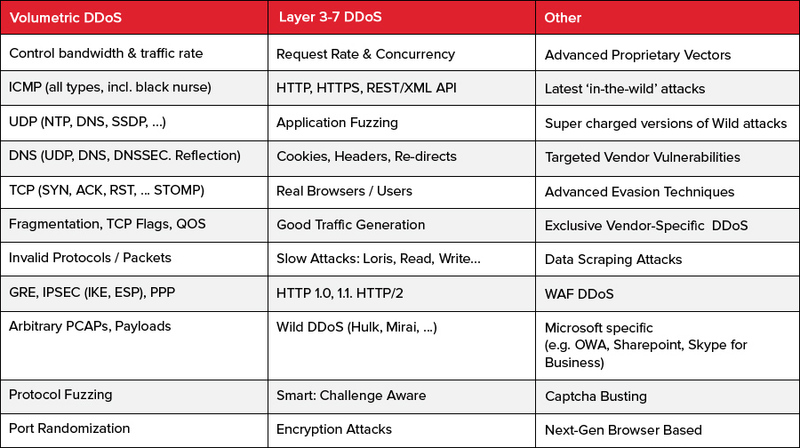 Do they target layers 3, 4 and 7 of the OSI model? Are there layer 7 tests for HTTP and HTTPS? - RedWolf Security Inc.